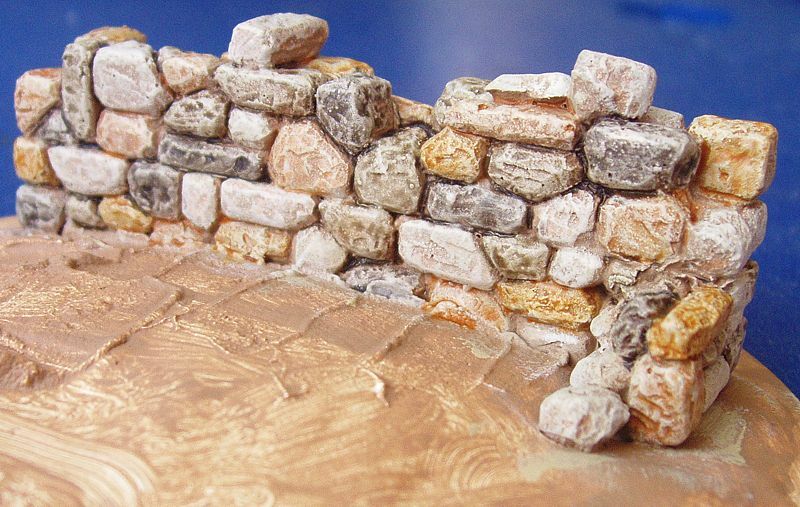 How to paint fieldstone in a variety of shades. Mask any areas which you do not want to cover with the spray paint. Post-it notes are perfect for this, especially if you have already painted the parts. If using masking tape, stick it onto your jeans a couple of times before use, to reduce the adhesion. 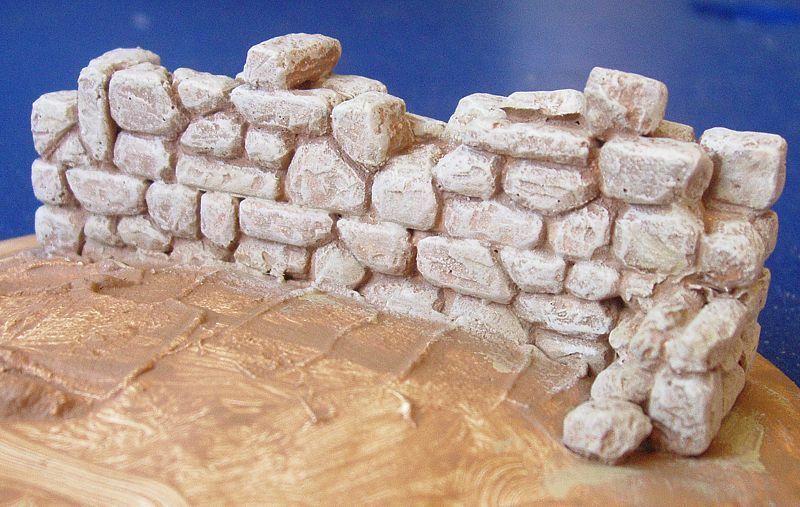 Liberally spray the "Stone Touch" paint on the areas to which you want to add texture. Unlike many aerosol paints, this spray does NOT eat into expanded polystyrene. Leave to dry thoroughly - this will take 2-3 hours or more, depending on how thickly you spray. Drybrush, starting with a dark grey colour, followed by a mid grey using less paint. Add a light grey highlight, drybrushing even less paint. Undercoat and drybrush the entire wall in stone colours. Make up a wash from 3 drops water / 3 drops Pledge Floor Polish / 1 drop black ink. Apply this to a few randomly selected stones. 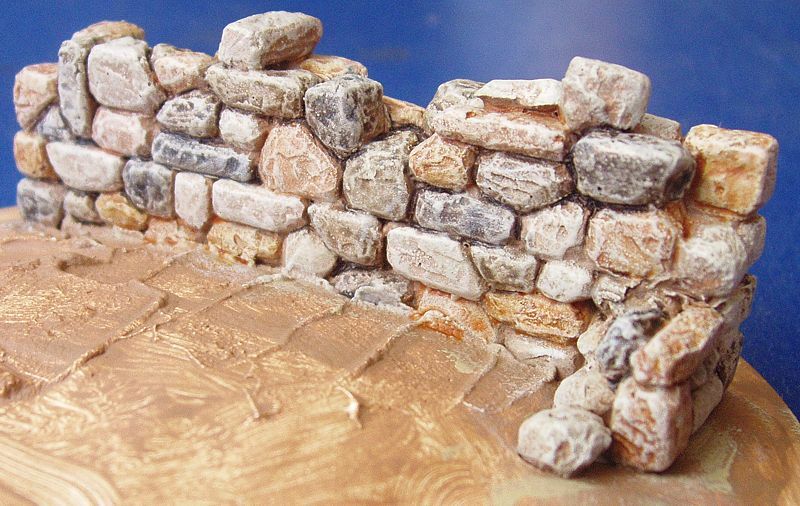 Make a similar wash with brown ink, and apply this to some more stones. 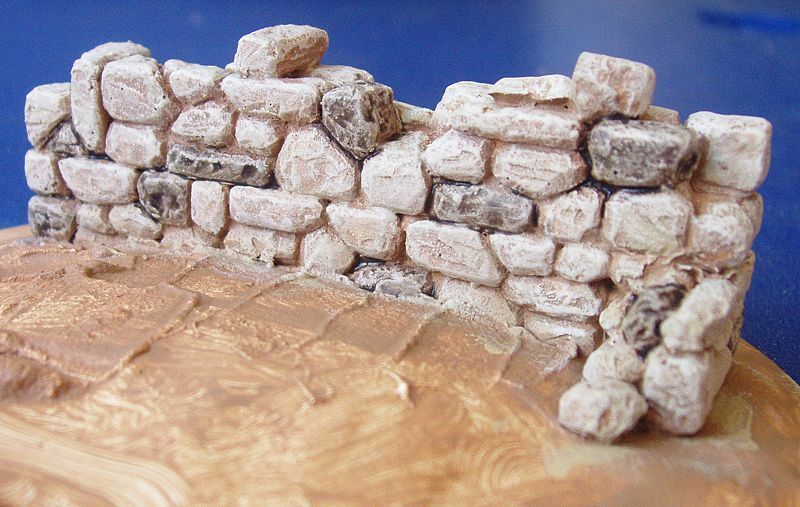 Make a similar wash with chestnut ink, and apply this to some more stones. 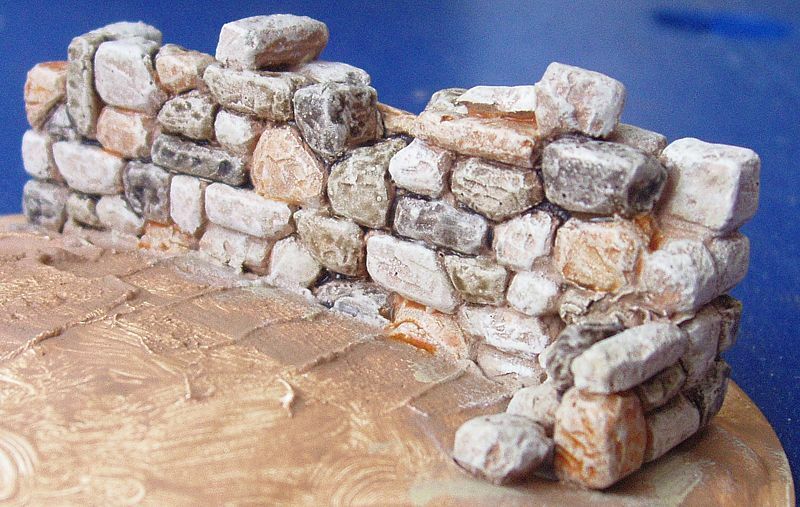 Make a similar wash with flesh ink, and apply this to some more stones. Be sure to leave some stones in the original colours. 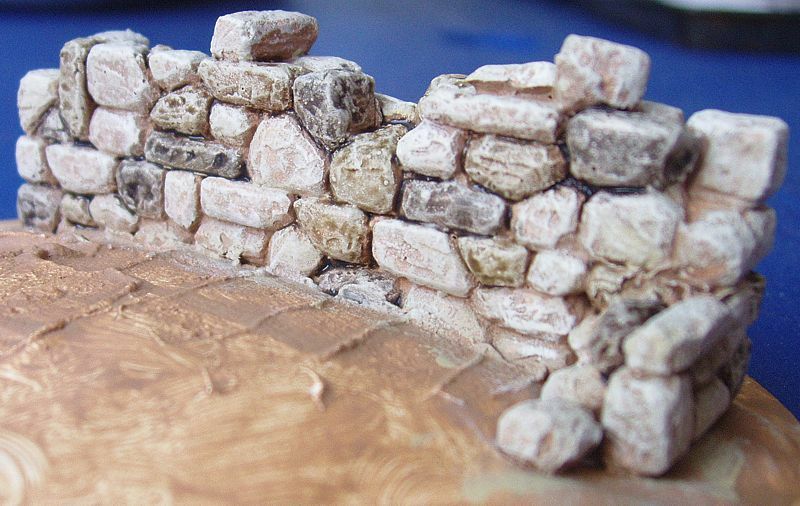 Using a light cream colour, gently drybrush all the stones to emphasise the highlights again. I have created a number of tools to create Randomised Reference Images.